Come see this 2010 Nissan Frontier PRO-4X. Its Automatic transmission and Gas V6 4.0L/ engine will keep you going. 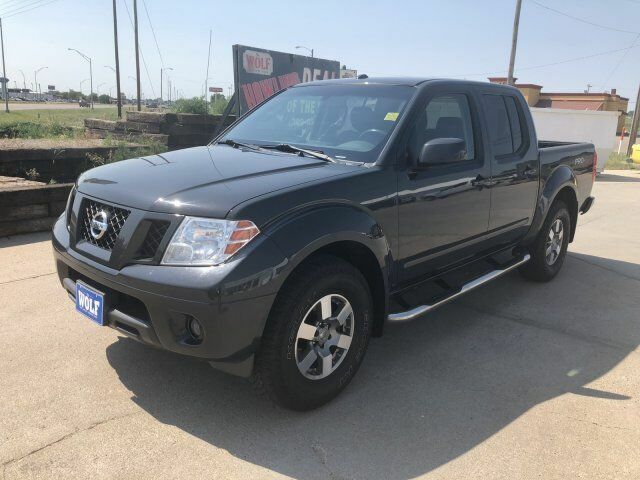 This Nissan Frontier has the following options: RED, SEAT TRIM, NIGHT ARMOR, [L92] FRONT/REAR FLOOR MATS, [K04] PRO-4X VALUE TRUCK PKG -inc: AM/FM stereo w/6-disc CD/MP3/WMA player, (6) speakers, aux audio input jack, XM satellite radio, steering wheel audio controls, Bluetooth phone system, vehicle security system (VSS), engine immobilizer, leather seating surfaces, heated front seats, 8-way pwr driver seat, 4-way pwr passenger seat, heated outside mirrors, rear fold-down center armrest, Vehicle dynamic control (VDC), Variable intermittent windshield wipers, Utili-Track channel system, Trip Computer, Transfer case skid plate, and Tire pressure monitoring system.